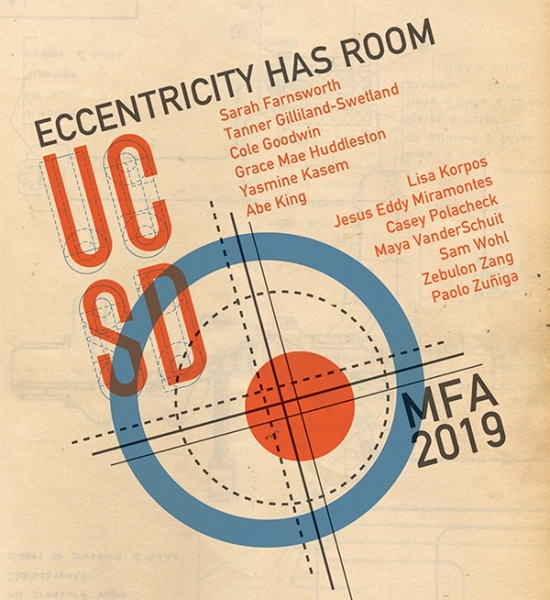 Event Description Eccentricity Has Room presents the thirteen graduating artists from UC San Diego�s Master of Fine Arts program, whose works represent a range of critical investigations that turn inward, grappling with the schisms between lived and perceived experience. Seen together, these works reflect not only the cultivation of their individual practices, but also the community and camaraderie that they built along the way. FREE during Downtown at Sundown!